By my sixth birthday I’d become the neighborhood monstrosity. This, in no small part, had to do with the red blotches dotting my pale skin, the aftermath of my aunt June having allowed me to play unsupervised with my cousins for too long. She didn’t believe my parents after they told her about my rare disorder. Sunlight could sicken, weaken, and kill me. Aunt June thought it was something they’d made up. He lifted the blind a peak and the sliver-sized sun ray grazed my wrist, burning yellow splotches onto my skin. “No!” I yelled, cowering away from the sunlight. When she came back for me, she pulled me up by my arm, which stung terribly. She wrinkled her pointy nose as she rolled my sleeves over my arms. They left with such a fuss, made so much noise that all the neighborhood children heard their curses and judgements as they hurried away from our house. I was no longer a person in their minds, but a horrible tragedy they could brag about during one of their dress-up martini parties. Antonio and Aunt June would never again visit us. My parents immediately went about boarding up and sealing our house. My mother’s ears seemed as allergic to sound as my skin was to light. Mamma Agatha could hear the tenderest footstep. If I so much as stepped from my bed after nine o ‘clock, she would send my father to check after me. If I asked about my mother, he’d quickly dismiss my questions. “I’m glad,” I told him. Then he unscrewed the little brown bottle with the extra sweet syrup inside. “Your mother keeps this for you for when you can’t sleep,” he said. Every window shade and curtain needed to be checked and rechecked. There was no rest without making sure light couldn’t leak inside. The edges of the doors had to be sealed off. The windows in the hallways leading to the bathroom were similarly prepared. In our home nothing escaped scrutiny. My parents were always extra careful. I pictured myself with my eyes pinched closed and my throat swollen so small I’d barely be able to breathe. My extremities would bloat and my brain would swell dangerously. If my body absorbed enough of the happy yellow rays I would die. Just before the first drizzles of rain appeared my temples throbbed. My body usually felt any change in weather long before anything was visible. I was happy. Rain meant freedom. No sunlight. If the storm lasted. I did not want to find myself outside if the storm clouds broke. Waiting until late afternoon seemed smarter. If the storm passed and the clouds blew back, night would have already come and there’d be nothing to worry about. Where would I go? Two places. First I would go to Charlie’s convenience store before they closed. I might pick out a treat for myself and a chocolate bar for Cassia. He loved them, of course. Not once could I risk telling our parents about giving them to him. They’d probably die. The goodies stayed our secret. Second place I opted to visit was always Grand Comics, which was only a five minute walk from my house, and Nils kept late hours, meaning I could visit after dark. The other local stores closed early. There wasn’t strong enough business to keep them open past six in Whistleville, so I always looked forward to my visits. Rarely was anyone else in the store besides me, and those folks never seemed to buy anything. I noticed many of them left with their own bags, though. One man, close to Nils in age, always left carrying a big blue gym bag. The thing must have weighed a ton judging the way he carried it. I imagine he must have been up to something no good. He sure wasn’t making a living from ringing up my occasional books. There had to be something else. “You got this one?” That was the first thing he said to me when I walked in. Nils held up a paperback. He stood behind the glass display counter, near his register. A stick of patchouli incense burned on the shelf behind Nils, but anyone walking inside would still smell the dry paper from the old books and comics. “No.” I hurried toward him. Most of the items Nils carried were well-loved, so I was especially intrigued when he handed me what appeared to be a brand new paperback. There was a painting of a woman with long red hair on the cover. Having never heard of Simon Hughes, I turned the book around in my hands to see if there was a picture. There wasn’t. I recognized the publisher, and saw that they’d classified it as Action on the spine. I didn’t recall owning, or ever having seen, a book categorized that way— I had to have it. Which was why I found myself staring at what I believed to be the skull of a small animal. Only it was much more than just its head: the entire rest of the thing’s devastated body was still attached, and the thing still had enough life in it to turn its head and move its legs. “Wasn’t I old enough before?” I asked. “Maybe,” he said. “The time is right.” My father always came off as so cold and brittle when he spoke. It was always business, business, business with him. My mother knelt down, touched my wrist, and placed a second hand on Cassia. “I’m here for you,” she said. “Of course.” Her breath smelled sour and sick. Something was wrong with her. Not one, but two dark puffs circled her eyes. Cassia looked up at me. The poor weak creature could barely lift his head. I wanted to help. “What is he? He doesn’t look like a person.” I asked my father. The thing’s yellowed, mottled skin intrigued me because it appeared either plucked clean, or slightly boiled. I locked eyes with the creature. “Sunlight did this?” I asked. My mother hesitated before shaking her head. The thing . . . Cassia . . . My brother . . . Pressed one of his limbs toward me, petting my side. The touch was gentle and slow. Watching his face, Cassia His eyes were the same blueish grey as mine and my parents. So what where we supposed to do? I didn’t know how to take care of such a dreamlike creature as Cassia, and I imagine he was much more used to the level of attention our parents must have given him. Cassia watched me, his eyes wet and curious. Did he know me? Could he have realized that he was in his brother’s arms? There was a strange connection, and there was certainly no doubt in my mind that he’d made the connection. Many things can change when you’re thinking of someone else first. Tears of selfish sorrow no longer dried on my skinny cheeks. Instead, I spent endless days send nights caring for Cassia. He needed constant concierge. I was his watchman, nurse, and soon memorized every delicate inch of his being. Cassia couldn’t rest unless his head was propped. There was no going to the bathroom like normal people. His biology was distilled to its very essence. 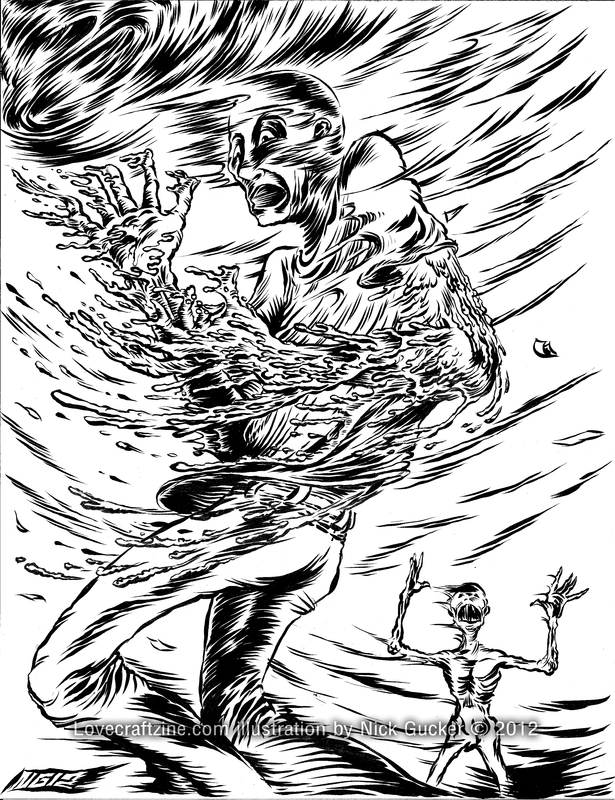 Several odd appendages lingered from his low quarters, each expelling its own noxious fluids. My mother explained to me what each meant, but I was soon too tired to remember or care. There is a large ship on the sky that sounds like grey thunder. Cassia looked as though he’d soon pass on. How could they inflict him onto me when our time together would be so short? They must have known what they were doing. Maybe they wished for his last weeks to be spent with someone who hadn’t grown weary of his complete dependence. Another guess— nursing him through death may have been too much for them. The last possibility, and one very much wished for by myself, had Cassia healing and strengthening, due in no small part to my detailed attention and regimen. There were several weeks where I no longer went down to the comic book shop. I missed Nils and his strange recommendations. I read the Shade book three times cover to cover. Each night, once Cassia fell asleep, I was able to escape into the comforting world inside those pages. Quickly, I found myself drawn to the main character, Samuel, and had developed some vivid thoughts about what his girlfriend Luna may have looked like. I wished I was as cool as Samuel with the quick wired comebacks, and the way he kept a few steps ahead of everyone else. If only I were as clever. As allergic as my body happened to be from light, so my own mother seemed to be from noise. She’d gone great lengths to block as much sound from the house as she could. “Noise distracts me,” she’d complain. “And brings on migraines severe enough I might die.” Her cold, thin hands would grasp mine, her eyes would search me for the right signs of sympathy. I’d always found it curious that her liqours never seemed to bring on the migraines, but rather, she claimed they loosed her blood and allowed her to relax. When she had one of her spells, we all learned to walk silently, and to lower our whispers. Reading was an ideal entertainment for me. Silent on the outside, but inside there were rocket launches, gun battles, racing cars, fistfights . . . All read with whatever light available to me. Sometimes my eyes felt super-charged, highly sensitive, and sting tears would water my face. Conditioned to live in low light caused my complexion to lighten considerably. Often my thoughts turned to my memories. My cousins and I used to gather each Sunday at our grandparents house on Court Street. We’d all sit underneath a canopy of grape vines. Us kids had our own small table while the adults were up on the large green wooden table. Keeping track of which story belonged to whom became trying. So many shared experiences caused details to bleed together. Even the voices merged inside my head. It’d been such a long time since I’d last seen everyone and I’d been very small when I had. That was before sunlight was poison. My mother told me once of how such a tragic allergy got me. She told me about the priests that came in and tried to bless me. They thought I’d been possessed because I’d screamed to get away from the light. But none of them were right for the longest time. I pictured that moonlight streaming through my hospital window. I imagine that moment even though I don’t remember it. And I wish i’d never gotten that vaccine. I’d do anything to change that moment. Was Cassia with me during that time? Had I blocked him out? Was he, too, changed from the vaccines? No one would tell me the truth. My father would just sing me the same riddle. “The thing that fell from the sky will also go back.” Again and again he’d repeat that. To me his song made no sense whatsoever. If he was reffering to Cassia, then the idea of Cassia somehow floating up toward the sun was impossible! If he’d had the same allergy as me, then surely rising toward the sun would quickly kill him. And what did he mean by something falling from the sky? Was it some kind of metaphor, like a fairy tale? Becasue that’s precisely what I imagined it to be. Discomfort and pain couldn’t dissuade me. Grand Comics helped me find myself. I always thought that there were places better than where we lived. The comics and books Nils suggested each had elements lurking just underneath their text if you looked categully enough. That, of course, took time. I didn’t have a whole bunch to spare, not with caring for Cassias. Once my parents found out how good I was at taking care of my brother they left his care almost entirely to me. Soon thereafter, I had very little time to spare for reading anything. The storm was a shelter. It was as if God had grasped the world like a baseball, and wherever his fingers landed, huge indentations occurred. Ocean rushed in to fill the gaps, and the newly minted landscape seemed at once both fresh and broken. The high pitched songs of the late summer insects played between the rumbling thunder. Even after several cracks came uncomfortably close, and the sky gurgled, they sang I wondered about where they might go, other than outside. I imagined them marching under my house, inside my basement through some unknown hidden mini passage. I yawned and kneeled over toward Cassia. He slept soundly, and he did not know what was happening. Whooshing sounds swirled around us. Our house shook against pummeling winds. “Hold on, Cassia,” I said. “It’s going to pass.” My promise was broken moments later when a large section of our roof peeled away as though it were made of paper. Up above us, the large spinning grey funnel fed the asphalt tiles from our roof to the sky. Near the center, hovering barely within sight, the large grey, bulbous ship I’d seen earlier. Holding Cassia with all my might against the winds now invading our room, I pointed up. “Do you see that up there?” I said, my voice disappearing into the noise. Cassia would not raise his head from my arm. There had to be a connection to the ship and Cassia. Something was much too odd. We did not get tornadoes. We did not have weather like what were seeing. They’d come to find Cassia. They wanted him back. The rain blanketed down but did not come inside. How this was possible, I can’t be sure. Most of our roof had gone, and a spinning funnel hovered directly above us. Everything should have been soaked and destroyed. An inhuman retch sounded over all the other noise. Cassia wiggled in my arms. His body had changed. The rotten, molting skin smoldered in a heap on Mamma’s prized carpet. Mamma lay out on the neighbor’s lawn; I thought none of her worry about fancy floors, paint colors, and what her acquaintances might think, meant anything. She could have spent her last days doing just about anything else other than worrying. Looking at her spent, dead body, the only thing I could think of was that life wasn’t going to pass me by – that I was going to live every second as best and full as could be. Then Cassia wiggled towards me, sprouting flames and fire from his mouth and nose like a dragon man from hell’s inferno. His hair had gone, but he had new hair down the side of his head that covered from his temples, past his ears, and down. The immediate top of his head was clean, and his skin had turned the same color as muscle. My skin itched and burned. Standing away from Cassia, scared and frightened, my back touched the hallway wall. My eyes only left my brother for a moment, because as I scratched my palms, wetness coated my fingertips and nails. Blood? No. Cloudy plasma oozed from minute cracks in my skin. Maybe Cassia dripped on me while still in my arms. Wiping my hands together, sharp paper-cut stings filled my hands. What could this new sensation be? Where was this thing coming from? Above us the vehicle I’d seen earlier hovered nearer, so that I was then able to see details more clearly. Unlike most flying machines I’d ever seen, this vehicle’s very shape moved and changed. Watching it closely for a moment, every instinct told me that the thing was somehow alive. What I’d believed to be a kind of metallic skin was, for all appearances, some type of alien skin. Possibly this substance was a building material unknown to mankind, but common with wherever the vehicle originated. Cassia inched closer to the middle of the hallway and let out a gutteral yelp. His deformed mouth opened as wide as it would go, and every inch of me seemed to remember the endless feedings. My senses remembered exactly how his mealy flesh had felt, and how spongy his lips felt with a spoon gently delivering him his soup. It was possible and probable that I would never again experience that sensation, and that this was his ride come to fetch him to his true home. Looking down at my arms, my very skin oozed and melted away from me. Drooping stringlets of colored flesh, blood and nerve wavered in the whirlwind. The shape reminded me very much of dripping candle wax, although the source was my own body. And where would the flame be, and how could I extinguish it? What else would the following moments have waiting for me? And there was Nils standing in the doorway, drenched and holding a soaking wet book. This material world brings no relief from death. It is a sad world where we spread our amber spotlights only for the monstrous, to gaze upon the unfamiliar flesh. Monsters are the normal – man is cold and heartless. We become rich so we can tune it all out. Wish Baby . . .
Cassia stood and I immediately could see something was different with him. The yellow shade I’d grown so used to darkened. He’s burning, I thought. But Cassia stood and for the first time before me, stretched out his arms. The skin between his arms and body appeared connected. As he raised his arms toward the storm, the wrinkled folds spread out. He turned to look at me, which was a miracle, as he could hardly have moved his own head before. Meanwhile each and every movement I attempted felt more and more labored. All my strength faded. The sun robbed me of it! Our fractured existence . . .
Xeroderma pigmentosum. The enzymes in my skin can’t fix the damage done to my DNA by ultraviolet light. That’s the way the doctors put things. Photosensitivity. Like Gigi. Like Cassia. Spotty red bumps erupt on the tops of my arms and hands. My body will always wear the scars. My skin will always tell my story. If it doesn’t dry and burn and turn to ash. I have to react. I cannot change things, despite trying, despite wishing, despite believing every positive thing possible. Nope. The blisters rise in the sun, the rays toxic to the proteins in my epidermis. The world turned dark. People changed. Everywhere around me, screaming and hollering echoed. Loud music bumped through my walls. Selfishness and arrogance are worn on people as if they were courageous. Their smug smiles, and quick-witted use of put-owns and insults for every interaction made me wonder if we’ve always been this way. What would the world be known for, now? What would it be? What could it be? Broad spectrum light testing. Mommy brought me in for this, where they took small little swatches of light on the tops of my hands to see what my body would do. It did the same thing then as it did now. Blistered. Burned. Itched and hurt. And I think of how the two moments are connected. First I had no choice but to go to the doctor with Mommy and see what caused my pain. Now, nobody’s idea but my own. No one to blame. Should know better. Should think twice, think things through. Can’t. Not always. Not usually. Hardly ever. Our fractured existence inherited through generations of manipulated abuses within our family. All of it adds toward madness. Every willing moment. Through our opened roof overflowing with sunlight, as my skin spotted, Cassia carried me, towards the light, unafraid, willing, changing, and new. His body strengthed, born again in the bright rays as much as my own was weakened. I swear it took all the strength I had to just keep my eyes open. I looked up to Cassia, who smiled down at me. The gaunt, tired face I’d grown so used to was now changed. The dealthy pale blue eyes had brightened. His thin lips were full, his features extraordinary. His arms felt strong and firm as he carried me. I knew I was now becoming the very thing Cassia once was to me – something that would need tending, something that would need constant care. Maybe, I thought, wherever we’re going, he may be able to cure me. Where will the light catch? On rays of floating yellow beams. In dreams of cloudy panes we watch . . .
Syrupy things drip down off me from around and on top. A willing heart to let it all happen. My new beginning. The thing that fell from the sky . . .
John Palisano is well known to readers of Horror Library, Darkness On The Edge, Phobophobia, Harvest Hill, Halloween Spirits, The Beast Within, the Bram Stoker nominated Midnight Walk, and many other dark publications. NERVES, his debut novel from Bad Moon Books, is now available. 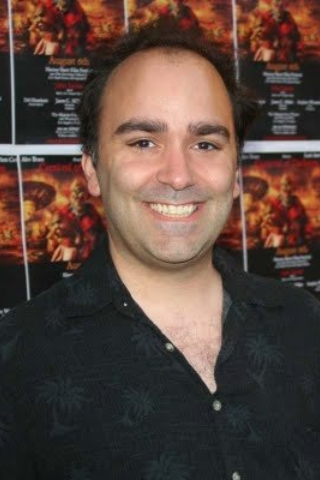 You can visit him at www.johnpalisano.com where you can learn about the writer and his upcoming projects. If you liked John’s story, check out his debut novel, NERVES! Chills, I tell you. I got chills! Great read! That was strange! Real cool picture. Great story, John! Your descriptive sentences are very visceral here. Seemed a little hard to follow, but I enjoyed some of the detail in the ending. Very very strange, and that strangeness is powerfully and imaginatively conveyed. The prose is excellent! A simple well done and Bravo covers it. To say I am overwhelmed is an understatement. Taking your time to both read and comment means so much, especially in this micro-attention span planet. Thank you all. We left Nils in the doorway, watching as the brothers ascend. After that? I have a feeling the event forever changed his spiritual outlook. This was a great strange story and left me wanting to know what happens next. Great job John! A very engaging story that had a great quality of otherwordliness. Encore! Thank you from the bottom of my heart, Timothy and Mark. I’m so glad you enjoyed AVAILABLE LIGHT. Very impressive stuff, John….nicely done!! Ok buddy I just downloaded the Audio because I’m Lazy. Gonna curl up in bed and listen. Let ya know tomorrow. Proud of you Man!!! Oh Ya That was a very good read. I like your style.